Graham’s will continue to supply fresh Scottish milk to all 85 stores across Scotland. Graham’s the Family Dairy has entered into a new five-year partnership with Aldi until 2023, worth £55 million. As part of the agreement, Graham’s will continue to supply fresh Scottish milk to all 85 Scottish stores, alongside butter, natural yoghurt and cultured creams. The dairy also supplies products to stores in the rest of the UK. Aldi said it was part of a wider commitment to support Scottish farmers and source high quality produce. “Long term thinking, being innovative and fast to market is important to our family business, all qualities which Aldi share. “This is the largest contract we have agreed to date and is worth roughly £55 million over the five-year period. It is also very positive news for our farming partners and around 700 colleagues across Scotland. Graham Nicolson, Group Buying Director Aldi Scotland, said: “This new five-year deal with Graham’s the Family Dairy will allow Aldi to continue to stock milk sourced from local farms in all our Scottish stores. 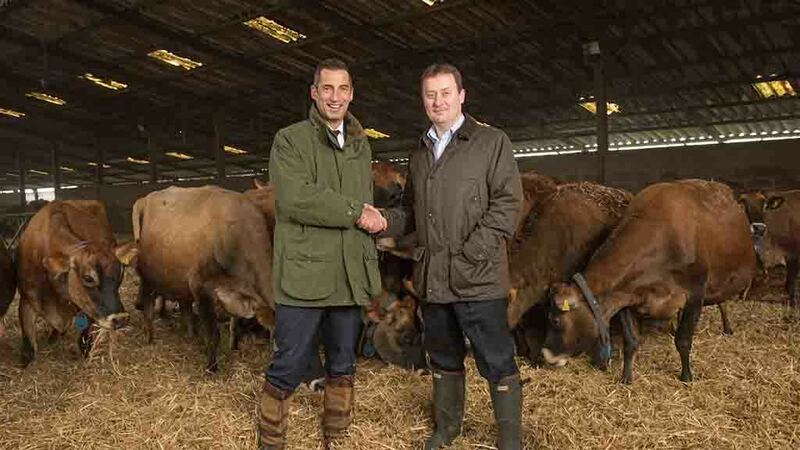 “This deal forms part of Aldi’s ongoing commitment to Scottish farmers and the Scottish dairy industry, which forms an integral part of our supply chain.